Disaster Recovery is a topic that often comes up only after it’s too late. Buzzfeed among other East Coast companies learned this lesson after Hurricane Sandy hit three years ago. There is no messing around when it comes to having a good disaster recovery plan in place for your infrastructure and business. Even if Joaquin takes a turn and heads out to sea, we thought this would be as good a time as any to remind you of the benefits of a well-thought-out and tested DR plan. Our Disaster Recovery Infographic provides an easy-to-read representation of the common costs of downtime and the benefits of having a DR plan in place. With the number of data breaches increasing by the day, the importance of protecting your data should be front of mind for many organizations. This should be just as important in the face of Mother Nature as it is for the cybercriminals out there looking to cause harm to your business. How much downtime can your business realistically withstand? Do you have off-site backup for your data? Can you restore your data quickly? Can you virtualize your IT infrastructure off site? Can you trust your hosting provider to act quickly to help you? As the Huffington Post discovered in the face of disaster, their back-up plan had far too many points of failure and not enough geographical diversity. CIO Insight pointed out, in a recent article on the topic, the best laid plans can still fail when your team isn’t prepped to put it in action effectively. 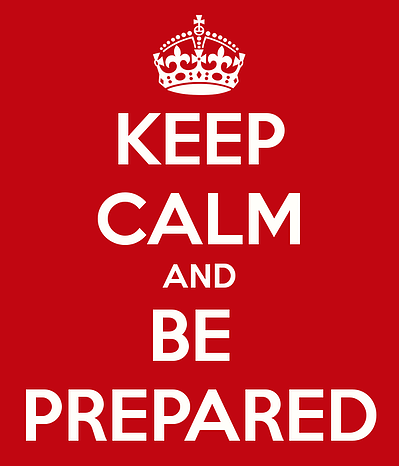 The Girl Scouts and Boy Scouts of America remind us to always “Be Prepared”. It’s a simple phrase that can have big repercussions for your business if all your systems are down. What are the chances that your business may be affected by Joaquin or any other natural disaster or act of god? Be prepared.